About DeFeo’s Landscaping of Central Jersey, Inc.
DeFeo’s Landscaping of Central Jersey, Inc. is an environmentally friendly, family owned landscape design and build company with expertise in all phases of landscaping. Established in 1984, we have been satisfying our clients for over 35 years with a quality product, prompt service and an exceptional guarantee. Each landscape design is tailored to our client’s needs and tastes. Whether your project is small or large, we give the same commitment, craftsmanship and creativity to all our clients. Your property will be kept neat, clean and treated with the utmost respect. Our staff is passionate about their work and care very much that you are happy with the results. We believe our high degree of honesty, integrity and attention to detail are important values you will appreciate from a contractor. Let us be the one stop shop for all your landscaping needs. Any size project will benefit from developing a landscape design. A well thought out design is an invaluable tool to achieving the greatest pleasure from your outdoor living space, as well as minimizing costly expenses due to mistakes by poor (or no) planning. Planning ahead also gives you the flexibility to break down your project into phases as your budget allows, and in the end still achieves the desired result. We offer various design services to aid in our installation projects. Our designer will work directly with you, giving personal care and attention to your needs in order to create a custom design that reflects your personality and lifestyle. We are trained and experienced professionals with many years in the design and build trade, taking pride in our commitment to quality and detail. Our 1 year guarantee makes us your partners in every planting installation because we are just as interested that your plants survive and thrive as you are. Special attention is paid toward soil preparation, quality of amendments, proper planting techniques, soil drainage and grading. Plant selection will be recommended by knowledgeable experts that will assess your site and choose plants according to their proper horticultural requirements. We specialize in designing with four season of interest in mind, and the increased use of low maintenance perennials, to bring you year round beauty. All landscapes require some degree of maintenance over time in order to maintain its health and beauty. Whether you are looking for professional results or just don't have enough time to do it yourself, we want to help our clients protect the investment that they have made in their home's landscape. Who would be better to care for your continuously growing landscape than those who created it? We offer professional plant care services by our skilled and knowledgeable crews, such as: plant pruning and feeding, landscape bed clean ups, weeding, edging and mulching, lawn core aeration and power seeding. We also provide services for your hardscapes such as cleaning, power washing, sealing and any needed repairs. Please ask about our program packages for further cost savings to you. Proper preparation of your site sets the stage for a successful landscape. We have a wide assortment of heavy equipment that is operated by our experienced staff. Services we provide include: grading, demolition, brush cleaning, existing plant removal, transplanting and drainage solutions. The concept behind nightscaping is that you see the effect not the source, offering subtle hint of light throughout an area rather than a harsh broadcast of light. When designing a nightscaping system the focus is on the colors, textures and focal points of the area. Various lighting approaches include: Path lighting along walkways and patios. Down lighting off trees and house structure that acts as moonlighting. Up lighting to highlight trees or house features. A low voltage lighting system uses a significantly less amount of electric than your average lighting system. Due to its low wattage, beam spread can be controlled similar to theater lighting. You can highlight in particular areas instead of broadcasting. The first year installation includes free service, adjustments on wires and lamp replacement. The transformer comes with a photocell and timer so it is automatically set. 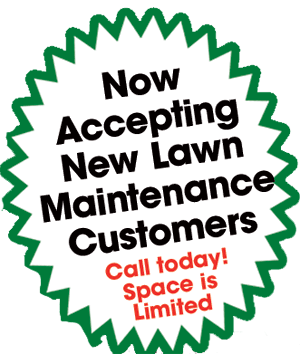 Affordable, Professional Landscaping in Central NJ -- Serving Somerset County, Middlesex County and surrounding areas. Copyright © 2005 - DeFeo’s Landscaping of Central Jersey, Inc. All Rights Reserved. Site design and SEO by 4D WebMasters, Bridgewater, NJ.